Celebrating Arch N. McIntosh, Jr.
Charlotte Latin is an accredited, independent, coeducational, non-sectarian, college-preparatory day school serving more than 1,400 students in transitional kindergarten through the twelfth grade. Our primary entrance point is Kindergarten. Get everything you need to know about the application process here. Highly-skilled teachers, outstanding facilities and a supportive school community are all focused on the success of each child’s educational journey. From performances to galleries, Latin is home to a vibrant and active arts program. Beyond the classroom, Latin is committed to the valuable lessons learned on the playing field. Latins hosts a variety of programs to enrich student life, equip parents and engage the community. Charlotte Latin School's mission is to encourage individual development and civility in our students by inspiring them to learn, by encouraging them to serve others and by offering them many growth-promoting opportunities. From our Founders' vision in 1970 to create an inclusive school where academic excellence is encouraged, leadership is cultivated, liberal arts are valued and phonics-based reading is essential, Latin has educated thousands of students in the importance of learning, citizenship, service to others, hard work and Honor Above All. Latin is a safe place for children to express themselves and learn. Each students at Latin is known as an individual and as a member of our school family. Relationships are key. Our faculty and staff teach, coach, encourage, support and care for our students. Latin partners with parents to provide a moral community that counter-balances contemporary culture. We believe in keeping children appropriately young. Academic excellence and highly-skilled teachers are the foundation of our school. We value diversity and inclusion. As a community of learners, we are committed to creating a welcoming and supportive environment that accepts and honors all people. Our mission is to encourage individual development and civility in our students by inspiring them to learn, by encouraging them to serve others and by offering them many growth-promoting opportunities. Charlotte Latin embraces the development of personal honor as a lifelong pursuit in the building of character and adherence to the Honor Code is required from all members of the School community. We honor one another and our personal gifts and accomplishments. The quest for excellence that has characterized Charlotte Latin since its founding extends to all aspects of school life, and is viewed as the effort to do one’s best and to seek to improve continually. This quest embodies the boundless spirit that characterizes our school community, and it is grounded in our commitment to create an exceptional environment for teaching and learning. Charlotte Latin encourages the development of leadership as a lifelong characteristic of our students and adheres to the concept of service to others (servant leadership) as the ideal model that best meets the needs of our school community, our nation and the world. Respect is the foundation of the Charlotte Latin School community. We celebrate differences that include diverse people, cultures and perspectives. Each person at Charlotte Latin is accountable for his or her actions. We all share responsibility for the welfare of the greater School community. Everyone can learn and is encouraged to learn through as many opportunities as the School can provide. Honor is one of the most fundamental values, and upholding the Honor Code is a valued tradition. All students have unique talents and capabilities and have something to give to the community. Faculty and staff are always encouraged to continue their studies and their professional growth with the aid of staff development funds. Parents are an active and important part of the life of the School. All students will act in a manner consistent with the customs and courtesies of the School and the School Community. The School continues to review and update its programs in all areas. Teachers interact with students in a way that develops healthy relationships in a professional manner. The general campus – through its gardens, its statuary, and its buildings – promotes an atmosphere of peace and harmony. The leadership of the School shall be carried out in an atmosphere that encourages and supports these beliefs. "As a member of the Charlotte Latin Community, I am responsible for upholding and promoting honesty, trust, respect, fairness, and justice in all venues of School life. To maintain personal integrity, I will not cheat, lie, steal, or plagiarize. I will do my best to raise awareness of the importance of honor for the purpose of making Latin a better place to learn and work. I understand the Charlotte Latin School Honor Code and will uphold my Honor Above All." Latin was Founded in 1970 by a group of visionary parents searching for a traditional, academically rigorous school that educated the whole child. Issues crucial to the founders' plan included integration, a phonics-based reading program, academic excellence, service, leadership, honor and citizenship. Learn more about Latin's history by reading Latin Translations: Stories of Our School History. The Malone Scholarship is a scholarship for highly capable, motivated students in grades 7 through 12 based on merit and financial need. Charlotte Latin School is proud to be North Carolina's only Malone Scholars School, endowed by the Malone Family Foundation to provide scholarships to highly capable students. There are 50 independent schools throughout the U.S. selected by the Malone Family Foundation for "their academic caliber; the quality of their staff; excellent accommodations for gifted and talented students; strong AP/IB and enrichment programs; attention to the individual student's needs, interests and talents; financial strength and stability; a commitment to financial aid; and an economically, culturally, ethically, and socially diverse population." The Malone Scholars Program endows scholarships for motivated, exemplary students in grades seven through 12 based on merit and financial need. Learn more about Dr. John C. Malone, founder of the The Malone Family Foundation. Questions about the Malone Scholarship? Email Chris Downing, Director of Director of Financial Aid. 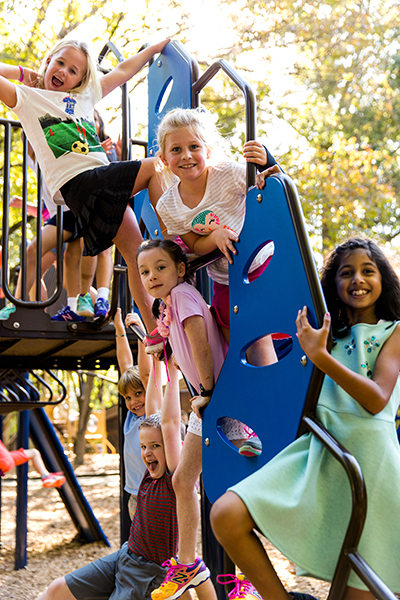 Charlotte Latin School is a fully accredited, independent, coeducational, non-sectarian, college-preparatory day school serving students in transitional kindergarten through twelfth grade. Charlotte Latin is jointly accredited by the Southern Association of Independent Schools (SAIS) and the Southern Association of Colleges and Schools (SACS). Latin also is accredited by the North Carolina Department of Public Instruction. Charlotte Latin is a member in good standing of the National Association of Independent Schools (NAIS) and the North Carolina Association of Independent Schools (NCAIS). Charlotte Latin's motto is Inlustrate Orbem, which means "Enlighten the World." As a community of learners, Charlotte Latin School is committed to creating a welcoming and supportive environment that accepts and honors all people. We respect individual differences, including, but not limited to, ethnicity, gender, national origin, race, religion, sexual orientation and socio-economic status. Charlotte Latin is a Malone Scholars School.